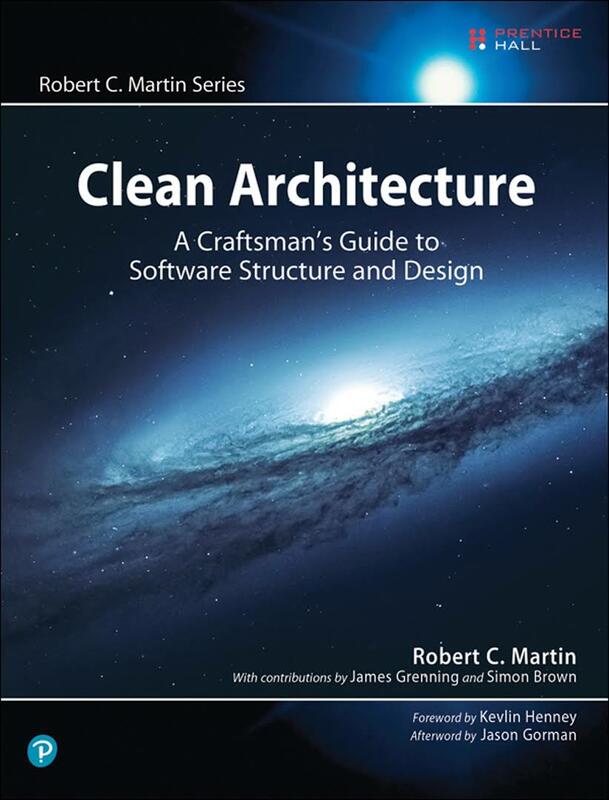 This is the review of the Clean Architecture (A Craftsman’s Guide to Software Structure and Design) book. I personally have mixed feelings about this book; the first 4 parts of the book that presents the paradigms and different design principles are quite good (for me it contains all the theory that you need in order to tackle the IT architectural problems). You start reading from the first chapter and gradually you build knowledge on top of previous chapter/s. On the other side, the part 5 and 6 of the book (which are representing the backbone of the book) have a different cognitive structure; the chapters are not really linked together, you cannot read and build on top of previous chapter/s because there is no coherency between chapters (some of the chapters are extended versions of blog tickets from https://8thlight.com/blog/). The book explains very well the rules and patterns to apply in order to build an application easy to extend and test but the subjects like the scalability, availability and security that are qualities that an (every) application should have, are not treated at all. The author tries to express the fact that good software design and (good) software architecture are intimately linked and that is very important to invest time and resources in having a good software design even if it looks like the project it advances slower. The quality of the (software) design will influence the overall quality of the software product and to prove this the author comes with some figures/numbers (unfortunately there are reference to the source of this figures). The following programming paradigms are explained: Structured Programming, Object Oriented Programming and Functional Programming. For each paradigm a brief history is done and also the author expresses how each paradigm characteristics can help and impact the software architecture. the immutability characteristic of Functional Programming can help to simplify the design in respect of concurrency issues. the polymorhism characteristic of Object Oriented Programming can help the design to not care about the implementation details of the used components. the Structured Programming helped us to decompose a (big) problem in smaller problems that can be then handled independently. SRP (Single Responsabilty Principle) for a software developer is “A class should have only one reason to change.” but for an architect became “A module should be responsible to one, and only one author”. OCP (Open-Closed principle) is translated in architectural terms by replacing the classes with high level components the goal being to arrange those components into a hierarchy that protects higher-level components from changes in lower-level components. LSP (Liskov Substitution Principle) is translated in architectural terms by extending the interface concept from a programming language structure to gateways that different system components are using to communicate. The violation of substitutability of these gateways (interfaces) are causing the system architecture to be poluted. ISP (Interface Segregation Principle) is translated in architectural terms by stating that generally is harmful that your systems depends on frameworks that has more features that you need. DIP (Dependency Inversion Principle) is used to create architectural boundaries between different system components. The components principles are categorized in two types: (component) cohesion and coupling. (REP) The Reuse/Release Equivalence Principle : This principle states that “The unit of reuse is the unit of release”. Classes and modules that are formed into a component must belong to a cohesive group and should be released together. (CCP) The Common Closure Principle: This principle is actually the Single Responsibility Principle for components. The principle states that should gather into same component classes that changes for the same reason at the same time. (CRP) The Common Reuse Principle: This principle states that “should not depend on things that you don’t need it”. This principle rather tell which classes should not be put together in the same module; classes that are not tightly bound to each other should not be in the sane component. This principles are linked together and applying them could be contradictory. The following diagram express this contradiction; each edge express the cost hat it must be payed to abandon the principle for the opposite vertex. (ADP) The Acyclic Dependencies Principle: The principle states that should have no cycle into the component dependency graph, the dependency graph should be a DAG (Directed Acyclic Graph). Solutions to eliminate dependencies cycles are: apply the Dependencies Injection Principle (DIP) or create a new component that will contain the classes that other components are depending on. (SDP) The Stable Dependencies Principle: This principle states that modules that are intended to be easy to change should not be dependent on by modules that are harder to change. The component stability metric, called I (for instability) is computed in the following way: I = Incoming dependencies / (Incoming dependencies + Outgoing dependencies). So SDP can be restated as :the I metric of a component should be larger than the I metric of the components that it depends on, a component should depend on more stable components only. This part of the book is made of 14 chapters (almost 120 pages) and treats different aspects of a good architecture: how to define appropriate boundaries and layers (“Boundary Anatomy” chapter, “Partial Boundaries” chapter, “Layers and Boundaries” chapter, “The Test Boundary”), how to make a system that is easy to understand, develop (“The Clean Architecture” chapter, “Presenters and Humble Objects” chapter), maintain and deploy, how to organize components and services (“Screaming Architecture” chapter). independent of any frameworks – must see the (technical) frameworks as tools and the architecture should not depend of this frameworks (“Screaming Architecture” chapter develops and argued more about this topic). testable – the business rules of the system should be testable without any external element. independent of the UI – the UI can change without affecting the use cases of the system. independent of the database – the business rules/ use cases should not be bounded to any database. The golden rule for a clean architecture is: Source code dependencies must point only inward toward higher-level policies; any item from a circle should know nothing about the items from outer circle/s. (see the following image). For more information for the earlier concept of Clean architecture you can check the Uncle Bob initial blog post: The Clean Architecture. The last part of the book tries to explain why some of the (technological) items used in it projects like the database, the UI technology or (technical) frameworks should not influence/contaminate the system architecture and it should always be positioned at the outer circle (see the previous image). This part also has a case study on which some of the rules and thoughts about architecture are put together and applied. Installation and deployment activities are implemented following a plan which can be used to document best practices. The software needs to be configured so that the security principles are not violated or ignored during the installation. Hardening – Harden the host operating system by using the Minimum Security Baseline (MSB), updates and patches; also harden the applications and software that runs on top of the operating system. Environment Configuration – pre-installation checklists are useful to ensure that the needed configuration parameters are properly configured. Release Management – Release management is the process of ensuring that all the changes that are made to the computing environment are planned, documented, tested and deployed with least privilege without negatively impacting any existing business operations or customers. Bootstrapping and secure startup – Bootstrapping (or booting) involves any one shot process that ensures the correctness of the initial configuration; this includes the the proper defaults and execution parameters. Secure startup refers to the entire collection of processes from the turning on of the power until the operating system is in complete control of the system.The use of TPM (Trusted Platform Module) chip enables significant hardening of startup parameters from tampering. The purpose of the software operations process is to operate the software product in its intended environment; this implies a focus on the assurance of product effectiveness and product support for the user community. The purpose of the software maintenance process is to provide cost-effective modifications and operational support for each of the software artifacts in the organizational portfolio. Monitoring – As part of the security management activities, continuous monitoring is critically important. The task is accomplished by: scanning, logging, intrusion detection. Incident Management – The incident response management process applies whether the organization is reacting to a foreseen event or is responding to an incident that was not anticipated. The key to ensuring effective response is a well defined and efficient incident reporting and and handling process. Problem Management – Problem management is focus on improving the service and business operations. The goal of problem management is to determine and eliminate the root cause of an operational problem and in doing so it improves the service that IT provides to the business. Change Management – Change Management includes also Patch and Vulnerability Management. The main goal of the change management is to protect the enterprise from the risk associated with changing of functioning systems. Backup, Recovery and Archiving – In addition to regularly scheduled backups, when patches and software updates are made, it is advisable to perform full backup of the system that is being changed. The purpose of the secure software disposal process is to safely terminate the existence of a system or a software entity. Like all formal IT processes, disposal is conducted according to a plan, that defines schedules, actions and resources. The overall purpose of the supplier risk assessment is to identify and maintain an appropriate set of risk controls within the supply chain. installation of malicious logic in hardware or software. installation of counterfeit hardware or software. failure or disruption in the production of distribution of a critical product or service. installation of unintentional vulnerabilities in software or hardware. All the software items moving within a supply chain have to comply with existing laws and regulations. These are my notes from the OWASP BeneLux Days 2017 on “Secure Development: Models and best practices” by Bart De Win. The goal of the training was about how to improve the structure of an organization in order to enhance the security of (IT) applications. The goal of the SDLC is to develop and maintain software in a consisted and efficient way with standards-compliance security quality. SAMM is an open framework to help organizations formulate and implement a strategy for software security that is tailored to the specific risks faced by an organization. How do we start with SAMM: It is possible to start with the SAMM Toolbox Excel file in order to do an initial assessment for each of the security processes (the Excel file will compute the maturity level). This initial assessment will help you to plan the improvements. Introducing security into agile development is not easy task and especially there is not a standardized way of doing it. planned for end of next year. Software acceptance is the life cycle process of officially or formally accepting new or modified software components, which when integrated form the information system. completion criteria – are all the functional and security requirements completed as expected. change management – is there a process in place to handle change requests. approval to deploy/release – have all of the required authorities sign off. risk acceptance and exception policy – is the residual risk acceptable or tracked as an exception. documentation – are all the necessary documentation in place. certification and accreditation – Certification is the technical verification of the software functional and assurance level. Accreditation is management’s formal acceptance of the system after an understanding of the risks to that system. Back in the ’90 the hacker community was looked with suspicion by the software industry because the hackers were finding security problems and the software publishers had no process to handle this findings. Back in the 90’s the only reference in order to create a secure system was the “Orange book“; but the orange book it’s all about security features, no word about bugs or vulnerabilities. CERT – internet community had no means to fight against malware that’s why CERT was created. 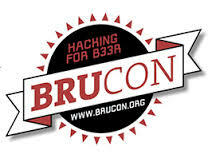 But the hacker community do not participate to CERT anymore because there was no traceability of the issues reported, so the Bugtraq was created. The idea of securing the system by trying to break them was initially not very well welcomed by the industry. In 2000 companies starts to hire hackers. The idea that the security is an external process that is applied at the end is broken. The security must be embedded in each part of the SDLC. air-gap = computer isolated from the network; the goal is to make jump the air gap between the computer and the network in order to get exfiltrate data from the network. screen luminosity; used to sent commands to an infected laptop, or used for data exfiltration. spectregram – embed images in sound files. Delayed Auditory Feedback (speech jamming) – the presenter build a software version. Demotivating malware analysts – create aspectregram and add it to a program that somebody will try to reverse it. This talk have 2 goals; the fists one is about building tunnels and the second goal is to present the XFLTReaT framework. Apparently the framework is very modular and very easy extensible. Client-Server approach; The client have a check functionality to find out which protocol is not filtered on the network. This ticket explains how to create and customize a Docker image for the Burp Suite Professional Edition. The main difference with a creation of an image for the Burp Suite Free Edition is that you will need to register a valid license during the image creation. 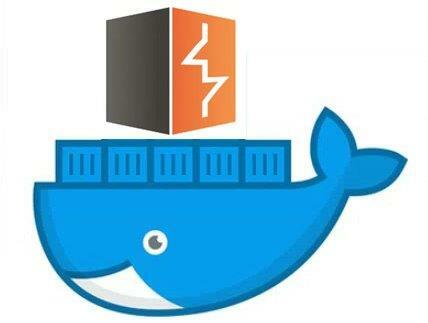 docker build -t burppro . Run the image. It will be needed to run the Burp in the UI mode in order to register the license and (eventually) to customize the application (like installing extensions); unfortunately it is not possible to install extensions directly from the command line, so you will have to do it manually. Once you’ve finished the customization, commit the new image in order to save the changes made on the initial image. Run the new image (in headless mode).